Ben Okri is a highly acclaimed poet and novelist and cultural activist who plays with post-modern ideas of storytelling and metaphor in his work, describing it as obeying a kind of dream logic. His fiction is pre-occupied with the philosophical conundrum: What is reality? He has invented a new form of storytelling called the “Stoku”, which is a cross between the short story and the haiku. Ben Okri has published many books, including THE FAMISHED ROAD, which won the Booker Prize in 1991. His other novels include THE AGE OF MAGIC, DANGEROUS LOVE, IN ARCADIA, STARS OF THE NEW CURFEW, and ASTONISHING THE GODS. He has published ten novels, three books of Short Stories, two collections of essays, and three volumes of poems, the latest being WILD. His works have been translated into 27 languages. He has been a Fellow Commoner in Creative Arts at Trinity College, Cambridge and is a Fellow of the Royal Society of Literature. He was awarded an OBE. Ben Okri’s books have won numerous international Prizes including the Commonwealth Writer’s Prize for Africa, the Paris Review Aga Khan Prize for Fiction, the Chianti Ruffino-Antico Fattore International Literary Prize, and the Premio Grinzane Cavour Prize. The recipient of many honorary doctorates, he is a vice-president of the English Centre of International PEN and was presented the Crystal Award by the World Economic Forum for his outstanding contribution to the Arts and to cross-cultural understanding. He also wrote the film script for the film N: The Madness of Reason. He is an honorary Fellow of Mansfield College, Oxford. He was born in Nigeria, and lives in London. He has also published a collection of compressed stories called THE MAGIC LAMP: DREAMS OF OUR AGE, with paintings by Rosemary Clunie. His latest book is RISE LIKE LIONS: POETRY FOR THE MANY, an anthology of political poems. Ben Okri is highly visually literate and has written right across the pantheon of 20th and 21st century art. He has written on subjects as diverse as Picasso, Paul Klee, African art and David Hammons. He is currently co-writing with Peter Kruger the film of his novel, THE AGE OF MAGIC. Ben Okri’s adaptation of Camus’s The Outsider, the first major production of this 20th century classic for the British stage, was performed at The Coronet, Notting Hill Gate, in September 2018. 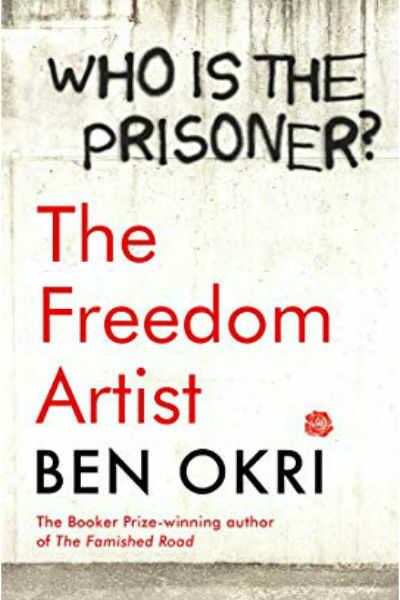 Ben Okri’s latest novel is THE FREEDOM ARTIST, published by Head of Zeus (2019).